There's less than 3 weeks left of the biggest and best Stampin' Up! promotion of the year called Sale-a-Bration. 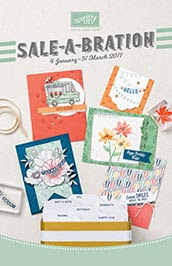 For every £45 you spend you can choose a free gift from the Sale-a-Bration Catalogues and if your order exceeds £200 you will earn an extra £20 in Stampin' Rewards! Why don't you have a browse of these catalogues to see what you could choose for free with qualifying orders between now and 31st March 2017. I made this card using the Delicate Details Photopolymer Stamp Set which you can choose for free when you spend £45 during Sale-a-Bration. 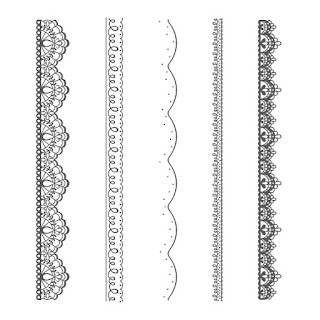 You get 5 stamps in this stamp set as shown in the image below and I've used 2 of these in my card. 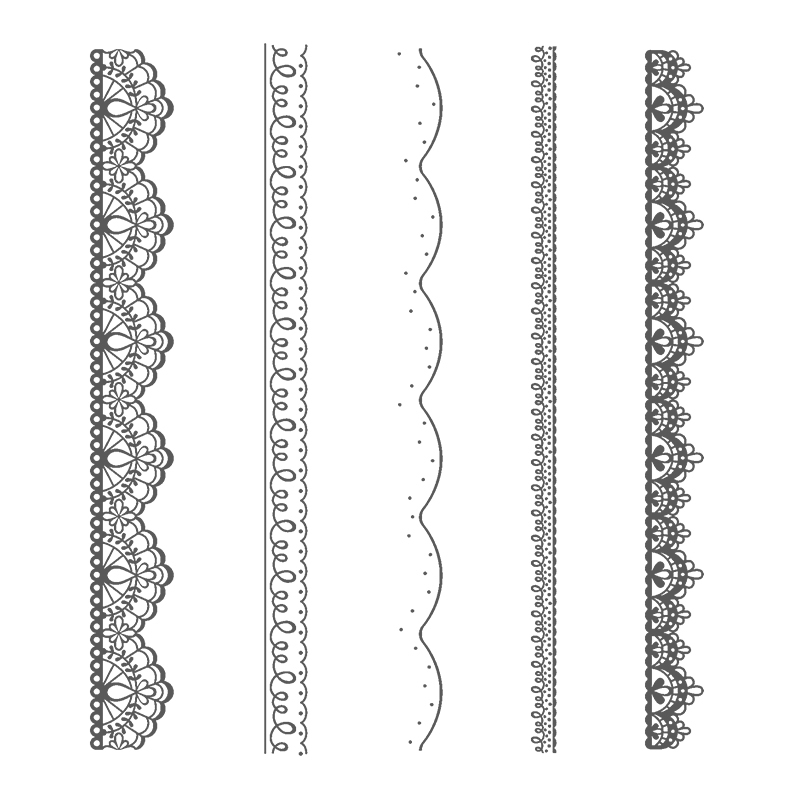 They were really easy to line up together as they are photopolymer and you can see exactly where you are stamping. The stamps and colours I have used for this card were inspired by my good friend Sasha Reade - thanks for providing the inspiration Sasha! 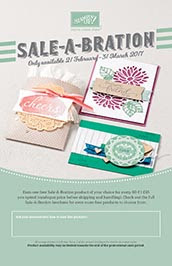 Please do get in touch if you have any questions about this promotion, want to find out more about Stampin' Rewards or if you would like to place an order. If you would like to know more about joining my team and how you could receive a fully customisable starter kit containing £130 of product for just £99 and 20% discount on products you purchase from Stampin' Up!, please let me know, I'd be more than happy to explain it to you.